Buying a home is often an emotionally charged experience that brings you closer to a long-time dream. In the days leading up to a purchase, an experienced and expert home inspector on your side can lend you the sound confidence needed to make the best decision. At JW Goad Home Inspections, we will spend the necessary time to help you understand your potential property. Our comprehensive property evaluations will tap into the truth of a home’s condition, revealing defects from the basement to attic and providing invaluable knowledge. Whether a home is determined to be in pristine shape or it becomes evident that certain details will need to be addressed during negotiations, you’ll have the information you need to plan accordingly. Once we’ve inspected the final areas of the home, we’ll create a full report of our findings. You’ll be able to access your report by downloading an email attachment that will be sent within 24 hours of the inspection. The full scope of our inspection will be detailed in the report, including several photographs to help you understand specific areas of the home and any pertinent issues. We also include access to the cutting-edge Create Request List™ (CRL™) feature by HomeGauge to help you make the most of your home inspection. By simply clicking to select individual items from your report, you’ll be able to compile an organized list of repair and project requests. You can easily collaborate with your real estate agent on your request list to discuss the most appropriate items to include—choosing between repair, reimbursement, or replacement of defective components. The CRL™ can be conveniently accessed from most devices with an internet connection. 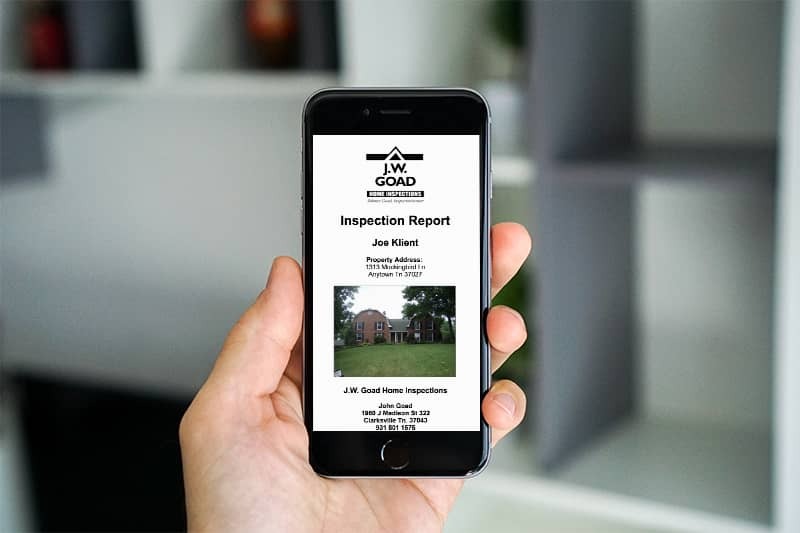 At JW Goad Home Inspections, we want our clients to keep their eyes on the prize while keeping the facts in front of them. Our investigative property inspections will help you make a wise and informed decision, giving you the knowledge to be confident in your investment.